Truly, your mind is the scene of crime. These are the kind of events that stick with people. Not Steve Smith's purported Bradman-esque Ashes season, not David Warner's scintillating knocks, not Nathan Lyon's deceptive flights and dips. These are the kind of events that will stick with these people and their legacies, interminably label them, and parasitically besmirch the highlights of their careers. A small asterisk hinged to their career graph. An asterisk that spells out 'calculative cheats'. Asterisks that can be testified by Mohammed Azharuddin and the late Hansie Kronje, who are not regarded in modern times as highly successful captains of their era. Vilified into oblivion by national ignominy, even a couple of decades later history is now indifferent, if not slightly disapproving of them but never reverential. These are the kind of labels that define teams, their styles and tactics for the years to come. South Africa, to date, have struggled with the sobriquets of 'chokers' despite the origins firmly rooted in the late 90s. High-profile teams often struggle to shed their monikers, Pakistan and India have consistently lived with the labels of bowling and batting heavy teams despite the influx of players with opposing skills. 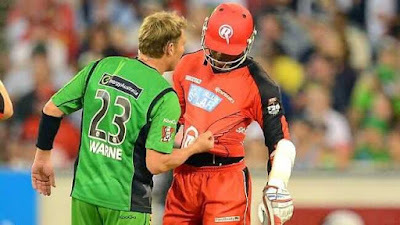 However, whether this incident will truly define Australian cricket a decade later is hard to foretell, as their lineage, and that of the game of cricket itself, is much deeper than one colossal blunder. They will have to ride out the taunts for now, endure the implications that come along and probably helplessly self-destruct until a fresh wave of talent is brought in to wipe off the disgraced smears of the past. This story though, this will stick. In the absoluteness of history, of fact, and the capriciousness of fate. 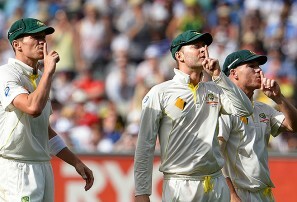 It will stick into the image of Australian cricket - a style of cricket that is as fascinating as it is dishonourable. Fascinating as it truly highlights the mental strengths of opponents - the Australians have often waged a battle of skill and mind. While they boast an arsenal of incredible cricketing talent backed by a pedigree dripping with cricketing royalty, on the ground they don't just compete with cricket. It is not enough to have an impeccable batting technique, as they will chip at it not with pace or spin but with insinuations, provocative taunts and mental disintegration. Another spice in the feast of cricket for the average cricket zealot. Dishonourable because playing cricket the Australian way is resorting to vile, distasteful and often disrespectful tactics, unneeded in international sport where players play to ultimately test their physical skills. A 'bully' persona that every player has to adopt, or the stringently imposed ideology that they have to 'hunt in packs'. A chess game in motion in every game with team Australia, where the battle on the field is ultimately governed by the tenacity of the mind. It is time for their move. The clock starts its count, but they are well prepared. Watching the Australians on the cricket field is as intriguing as it is infuriating. They demonstrate the exact attributes of a playground bully - they stride out with premeditated tactics of picking on the weak links of a player or a team, chalk out a fictional, ambiguous and internally flexible line for profanity and then launch a cerebral attack of obscenity. This is their move. A calculated and distasteful move unleashed remorselessly. They tap the clock and cross their arms. It is now time for their unwilling, unprepared and unassuming opponent to respond. It seems however, that these players are no longer playing personas. The facade of character work seems to have melted, as you start to spot sadistic pleasure in the goading of opponents. Tendrils of their character work, Venom-like, starting to envelop their sense of morality, logic and reasoning. Then they wait - wait for a player not used to this style of play to break open, lose control and unleash the fetters of restraint. Needling him, further instigating the imminent. The clock ticks towards an inevitability. A player who didn't plan for this volley of loathsome comments and would eventually cross the fictitious and self-serving 'line'. In background they sit hunched, drooling over the prospects, ready to pounce at the end of it all. A player finally relents, and the Australians gather round for stage two of their street theatre. They viciously pounce on this moment of weakness, whine about it and take it to the higher authorities. The infuriating, annoying brats that sparked the fires yet never got their hands burnt. The history books have examples aplenty. The infamous Monkeygate where Andrew Symonds swore at Harbhajan Singh, interpreted his alleged Indian swear as a racial slur and filed a complaint. Glenn McGrath once asked Ramnaresh Sarwan what specific portions of Brian Lara's anatomy tasted like, and immediately held up a victim card when Sarwan asked him to ask his wife. Darren Lehmann openly asked spectators in Australia to dig into Stuart Broad and make him go home weeping, yet claimed a spectator sledging his team's biggest loudmouth last week South Africa was completely disgraceful. Warner decided to enact the McGrath-Sarwan incident with Quinton de Kock this month, and ensured he played his part to the end perfectly, including the victim card for his final act. Merv Hughes, meanwhile, deserves an article of his own. The Australian line and the Australian way ignores profanity directed at Lara, Sarwan, Harbhajan, De Kock, Broad and the countless others who are pulled into their mire of hypocrisy but conveniently stretches to ensconce Symonds, McGrath, Warner, their families, their pets, the people of their neighbourhood and even their local mailman. A line of control of convenience. With each successful foray, they gain in confidence. Stuart Broad is treated as a cheat for not walking - a practice majority of the batsman succumb to, the moral grounds of which are still debatable. In their eyes Broad overshadows the honourable showmanship of Greg and Trevor Chappell underarming their way into national ignominy. A growing, self-sustaining confidence that allows them to apologise if caught and simply move on. Harbhajan warrants a suspension, but Lehmann can blatantly racially abuse the Sri Lankans. Steve Smith can look up to the dressing room for DRS opinions, yet call it a 'brainfade' the one instance he was caught - rubbishing claims that it had been happening for a while. The examples, as aforementioned, are aplenty. The honest truth is, ball-tampering is not a new offence and not career threatening. 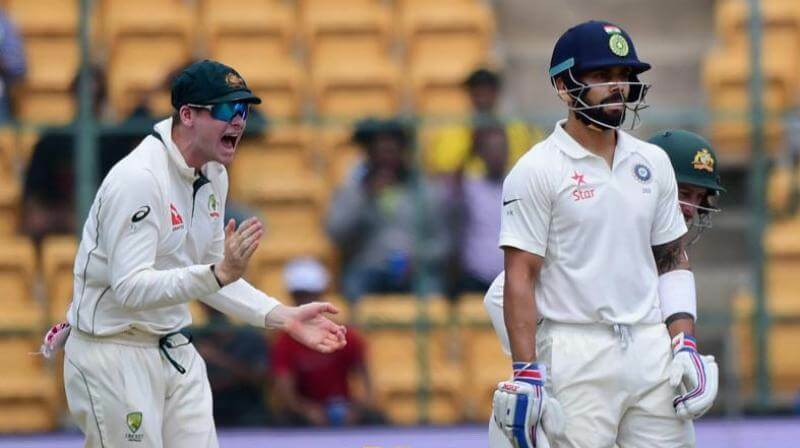 Steve Smith might well never be captain again, or he might just be re-appointed after a possible debacle at World Cup 2019. These are the kind of events that stick, but Australians might just move on. The Australian way is to play dirty and apologise later, and with time the apologies gain more merit. One incident is not enough to affect a century-long tradition of playing style. For their infatuation with playing the victim card, ironically they are now truly the victims of their own personas - the ravenous tendrils of the characters they created have engulfed their morality, reasoning and plain logic. New players are expected to sledge, and veterans are expected to whine - or they would be considered too soft to play international cricket the Australian way. To play international cricket the despicable, contemptible Australian way. If you liked what you have just read, please do consider spreading the love and sharing this on social media platforms of your choice. Additionally, also consider liking this blog on Facebook, following it on Twitter or following me personally on Twitter. We're all artists in our own way, and this is my art that would truly find expression if more people got a chance to read it. Incredible Post, this is my favourite one.Thanks again for doing a good job. Enter your email ID below to receive a solitary, unobtrusive notifier whenever I put up a post. Pretty please, with cherries on top. Liked it? Cried? Smiled? Didn't like it? Hated it? Who cares? I do. If it invoked emotions of any sort, do share these posts around and help me build up some virtual blogging street cred.